German baking has influenced baking traditions around the world for generations and is a source of great nostalgia for those of German and Central European heritage. Yet the very best recipes for Germany’s cookies, cakes, tortes, and breads, passed down through generations, have never before been collected and perfected for contemporary American home bakers. Enter Luisa Weiss, the Berlin-based creator of the adored Wednesday Chef blog and self-taught ambassador of the German baking canon. Whether you’re in the mood for the simple yet emblematic Streuselkuchen, crisp and flaky Strudel, or classic breakfast Brötchen, every recipe you’re looking for is here, along with detailed advice to ensure success plus delightful storytelling about the origins, meaning, and rituals behind the recipes. 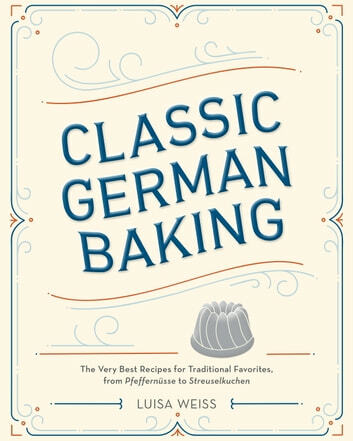 Paired with more than 100 photographs of Berlin and delectable baked goods, such as Elisenlebkuchen, Marmorierter Mohnkuchen, and Schwarzwälder Kirschtorte, this book will encourage home bakers of all skill levels to delve into the charm of Germany’s rich baking tradition. 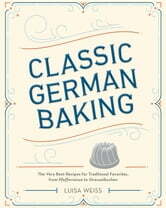 Classic German Baking is an authoritative collection of recipes that provides delicious inspiration for any time of day, whether it’s for a special breakfast, a celebration with friends and family, or just a regular afternoon coffee-and-cake break, an important part of everyday German life.